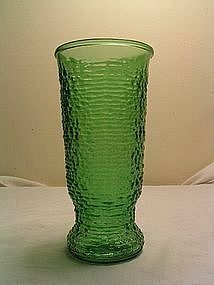 This vase is in a "soreno type" glass and is approximately 9 1/2" in height. No chips or breaks but a few light scratches on the interior of the mouth. 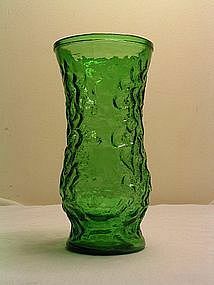 Manufactured in Cleveland, Ohio in a "soreno style" glass. It is approximately 9 1/2" in height. No chips or breaks, although it has a few faint scratches around the mouth which I could not get to show in photographs. The top and bottom are not totally symmetrical - it looks like the mold was off. 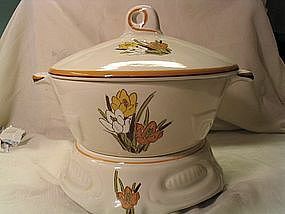 Three piece with cattails and flowers. 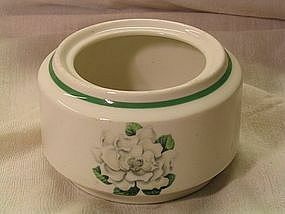 Two quart covered dish and a matching warming stand. I do not find any cracks or breaks, but has one small flake on the exterior bowl rim. Some paint loss on one of the designs on the warming stand. 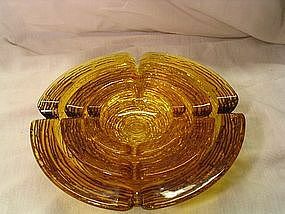 A matching platter is available and priced individually. I need your zip code to calculate the postage. 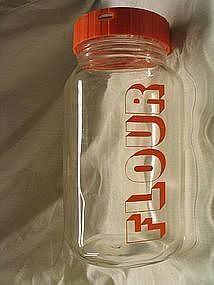 64 ounce glass flour canister with orange plastic lid containing glass insert. Manufactured in Italy. No chips or cracks, but has some scratches on lid insert. I need your zip code to calculate the postage. 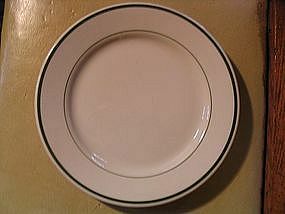 The plate measures 8 3/4 inches. 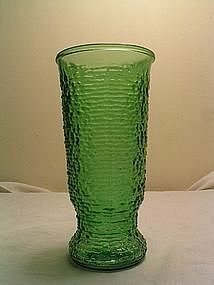 Caribe was actually owned by Sterling China Company and manufactured in Puerto Rico from 1951-1977. No chips, cracks or breaks, but has light utensil marks. Matching cups and saucers and additional plates are available for sale. I need your zip code to calculate the postage.